The Law Offices of Roger E. Naghash is a full-service law firm committed to protecting our clients' rights. Newport Beach civil litigation lawyer Roger E. Naghash provides customized legal representation for each client, and we tailor our services to fit their specific legal needs. This is why we offer so many different legal practice areas under one roof. 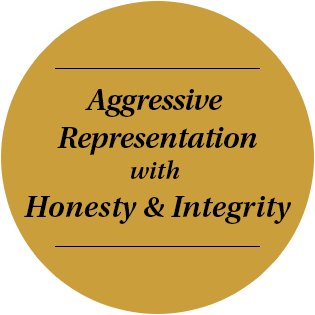 With the Law Offices of Roger E. Naghash, our aggressive representation, coupled with honesty & integrity, places you in good hands. As a fierce advocate for our clients, we never back down, and we will aggressively represent your case to ensure that you obtain the remedies that you are entitled to under state and federal laws. Our commitment to you—our client—guarantees that we will always keep you informed and involved with your case, even as we provide you with quality, hands-on, and affordable service. Our law offices are conveniently located in Irvine, and we are proud to work with clients from all over California, including Orange County, Los Angeles County, Riverside County, San Diego County, Sonoma County, and San Bernardino County. Many of our legal clients come from the cities of Sun Valley, San Clemente, Santa Ana, Anaheim, Irvine, Westminster, Mission Viejo, Santa Rosa, and Sacramento. Newport Beach civil litigation attorney Roger E. Naghash offers a complimentary, initial consultation to all prospective clients, and we invite you to give us a call at 949-955-1000. You can also email us today. Law Offices Of Roger E. Naghash is pleased to announce that Bitcoin is now accepted as a form of payment for Legal Services, when possible.